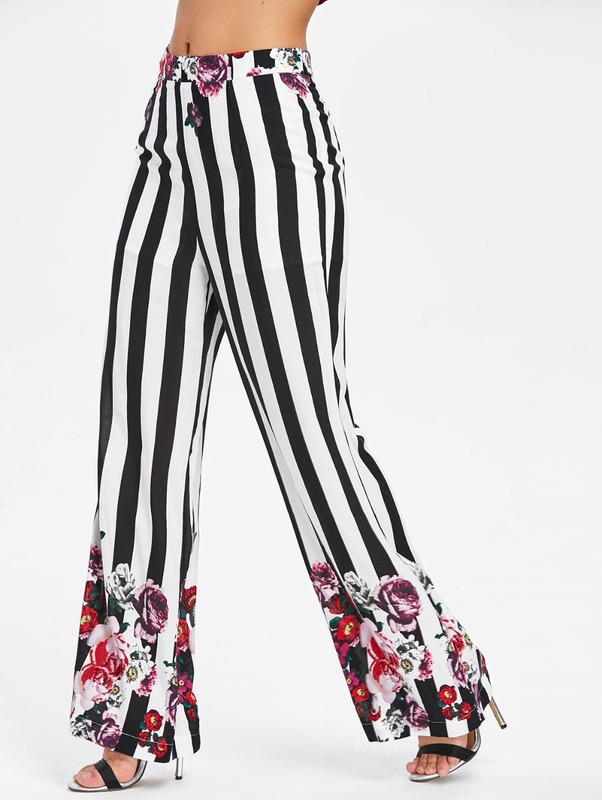 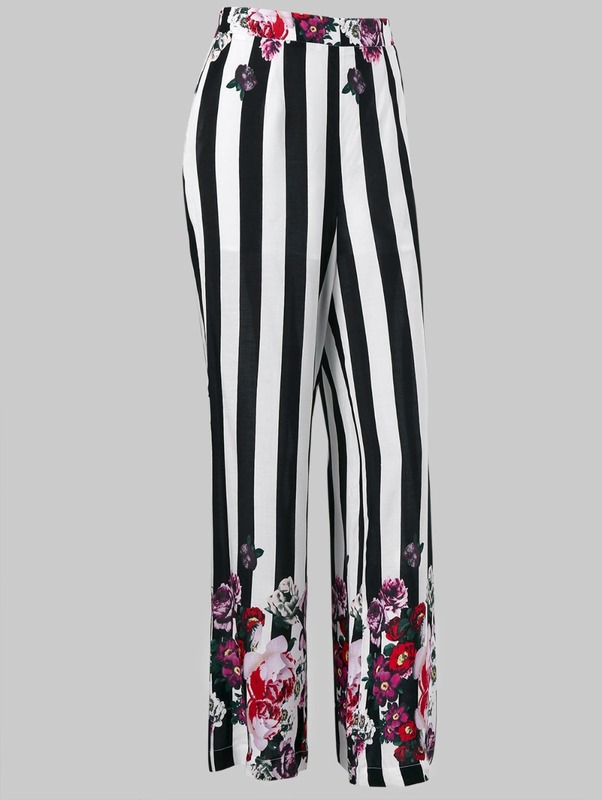 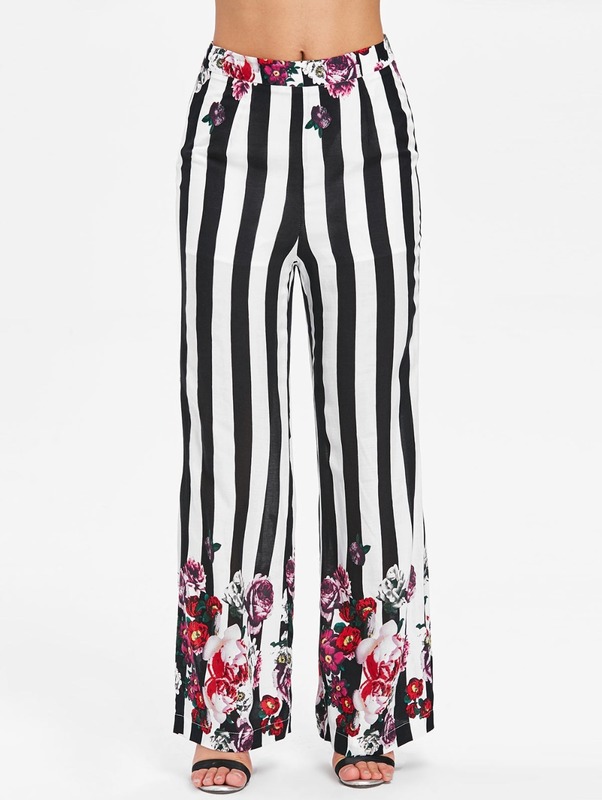 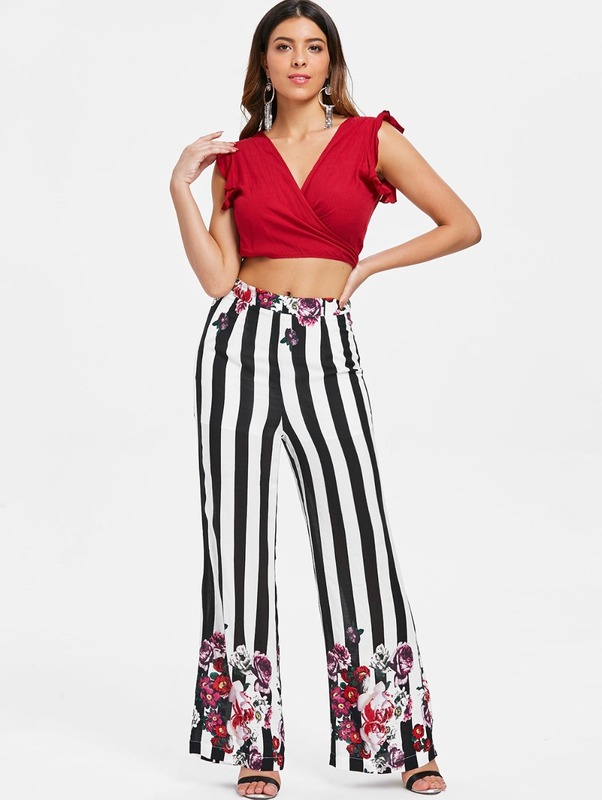 This pair of fashion pants features a flattering high waistline with a zipper fly style, classic vertical striped pattern throughout, and a loose wide-leg silhouette. 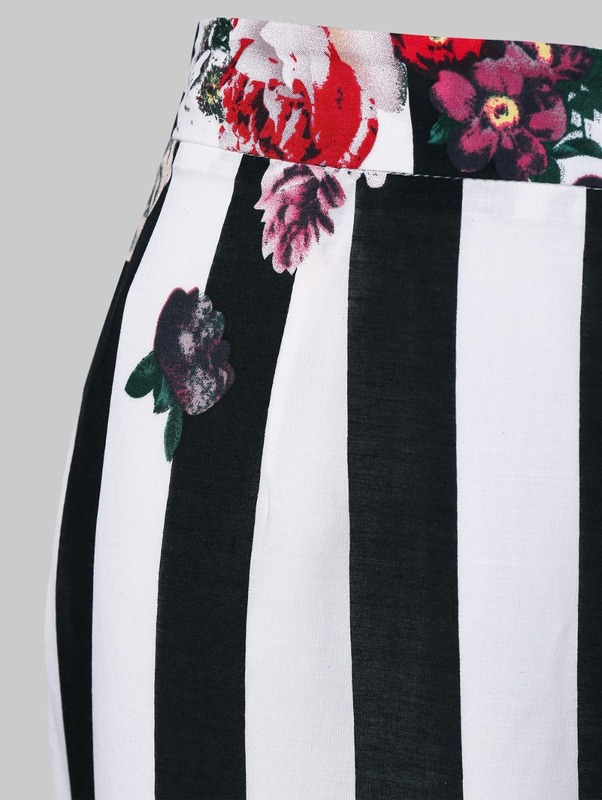 Flowers around waist and hemline add charm and vitality. 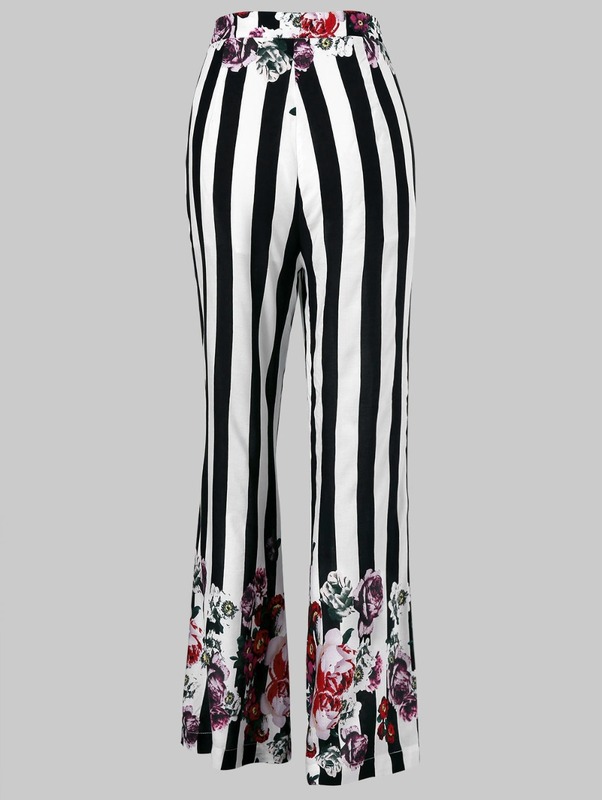 It is perfect to go with cool tees.